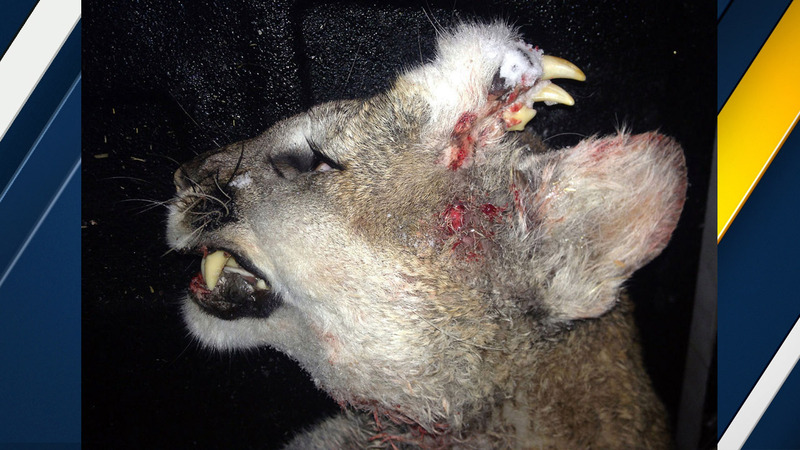 IDAHO -- An Idaho hunter tracking down a mountain lion stumbled upon a biological mystery. The mountain lion was killed last week near the Utah border, according to the Idaho Department of Fish and Game. The male animal, which was legally harvested, was found with what appeared to be fully formed teeth and whiskers growing on top of its head. Wildlife officials said the animal attacked a dog on a landowner's property in late December. Within three hours of the attack, the mountain lion was tracked and harvested, officials said. The department offered up a few theories on the wild cat's deformity. One theory is that the teeth could be the remnants of a conjoined twin that died in the womb was absorbed into the other fetus, eventually growing on its own. Another explanation is that it could be a teratoma tumor, which can grow tissue, teeth, hair and even appendages. The tumors are rare in humans and animals, according to the department. After the hunter harvested the cat, a conservation officer checked the hunter's license, recorded information about the harvesting and grabbed material from the animal to verify its age. The process is required by law. Mountain lions are common in Idaho and considered big game like elk and mule deer. Only one mountain lion can be harvested by a hunter each year, according to Idaho Fish and Game.